The concept of cloud gaming began in the year 2000, when “G-cluster” demonstrated its cloud gaming technology to the public at E3. Then comes Crytek, researching on a cloud gaming system for crysis but soon halted the project. 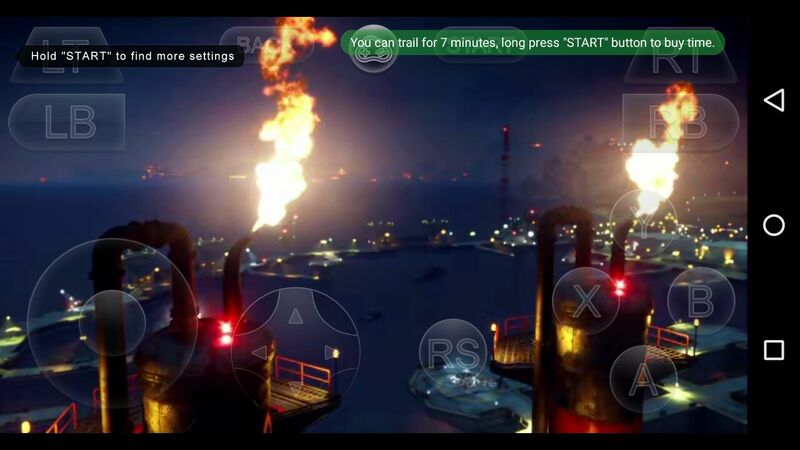 OnLive “took’ over with the same vision, but ‘later’ sold its patents to Sony. Fast forward to the future, a lot of companies started “investing heavily” on cloud gaming and it has grown to become a fully realised service backed with client programs such as Gloud Games that lets users access the server side where the games are running and play them with ease. Gloud Games is a client program designed to allow “users’ (especially gamers) access the company’s server and ‘painlessly play console like or PC​ games on their Android phones. For one thing, “Gloud Games” is a simple and “lightweight app’ that doesn’t require a lot of ‘processing power’ to work. Once “installed” on your mobile, you’ll get to see a slew of AAA titles that will wow you. You’d know the ‘right’ rig mustn’t cost the soul of your ‘firstborn” and being aware of this, Gloud Games “appeared” with an aim to change the way we play games. Instead of “coughing up” hundreds & thousands of dollars just to buy a gaming PC or console, you can easily “rent” the games meant for this “operating system” and play them on your Android device. Sounds intense? We aren’t done yet. Here is how Gloud Games work. Have you ever “streamed’ a video or music online using the ‘Netflix or Spotify’ app? If yes, then Gloud Games isn’t different from this services. 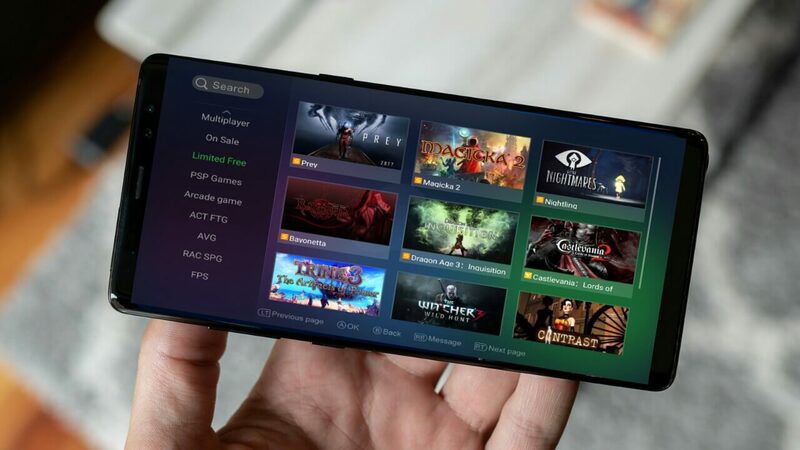 Instead of ‘buying’ a console or gaming PC, all that’s required is to grab the Gloud Games app from a reliable source, then choose the game you want to play and a powerful server will run the game and send you gameplay video through the internet. 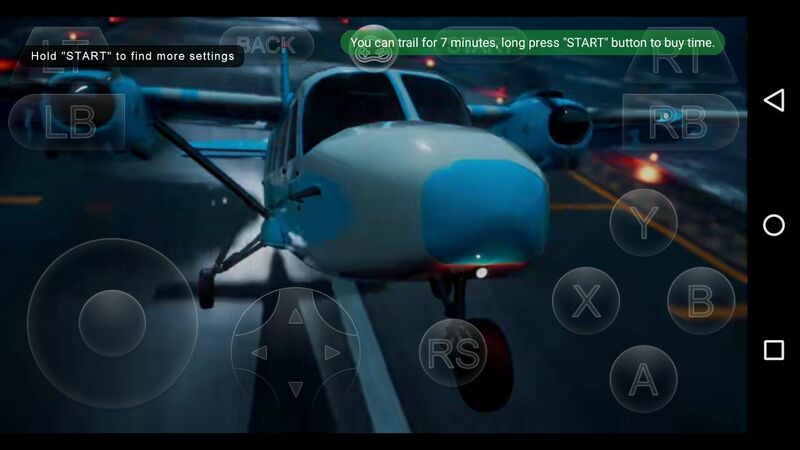 Your Android device will receive the video and play it back for you, while sending your inputs back to the server. So you see, the processing power for running the selected game is provided by the server and it doesn’t matter what specs your device has, as the server will run the game laglessly. All that is required on your end though, is a stable and strong connection speed and an Android device that can play HD videos. Assuming you’ve downloaded the GloudGames app and had it opened, the initial thing you do notice that may seem quite disappointing is the Chinese language used in it. (Sad? don’t worry as this article will painlessly walk you through the steps to translate any Android app to your preferred language). Move past this downside and you’ll be amazed at what Gloud Games offer. Right from the app’s homepage, you’ll get to see tons and tons of graphics intensive games that are available to play. The list didn’t end there, Gloud Games offers a huge catalogue of over 500 ‘AAA’ titles and some of them includes Darksiders, Tomb Raider, Ryse: Son of Rome, Sleeping Dogs, Saints Row, Batman, Devil May Cry, and many others. The developers has promised that its catalog of games will continue to grow in years to come. Wondering if we tried the Gloud Games app? Yes we did, and we where instantly wowed. 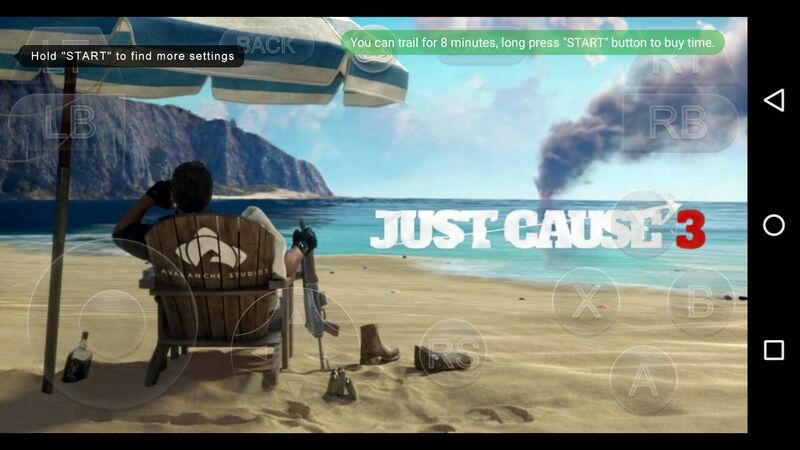 The moment we selected Just Cause 3, the game was sent back to our device directly from the server and we where able to run it flawlessly without interruptions. The controls are well spaced and sensitive, gameplays didn’t glitch at all and we managed to earn some cloud coins too. Personally, I had an awesome experience with ths gloud games app and I felt like I was gaming on an actual console. Its support for super-competitive multiplayer games makes it worthwhile. No it isn’t. Gloud Games just like Netflix is a subscription based game service that allows users to play a wide range of video games in the cloud regardless of the device they have. In other to keep things running and to possibly maintain the servers, users are required to pay some fees monthly. The subscription costs goes at $229.90 for Argentina citizens and $7735 for folks in Chile. It’s a little bit high, but still cheaper and preferably to purchasing a gaming PC or console and considering what you’ll be getting, the price is totally worth it. Of course, Gloud Games lets you try its service for a complete two weeks before subscribing and within these free trial periods, you’ll get access to over 50 AAA titles with 7 minutes time limit and if they allure you, then you can go ahead and subscribe to their monthly plans. Gloud Games is truly a ‘revolutionary’ app that’s impossible to resist. It arrived when it was needed the most and its ‘main duty since then, is to let users stream tons and tons of “video games” on the web just like they do with other streaming apps. Gloud Games brings low-latency, and it’s able to render 3D games in cloud servers and even encode the frames instantly. 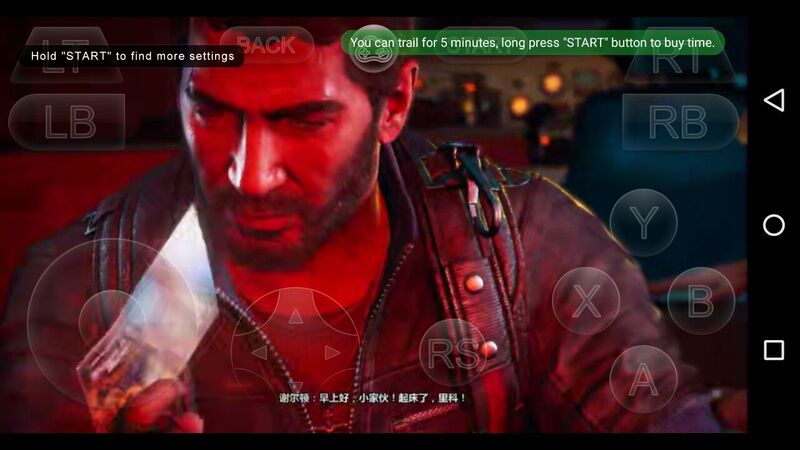 Moreover, Gloud Games brings less-hassles, as it doesn’t require any complicated setups nor downloads, and one of its major advantage is that the games within the app are upgraded frequently. It’s undoubtedly a must-have. Important Notice: If you fire up Gloud Games and get this message “Sorry, our service is limited to China only”, simply grab a VPN app, change your country location to China and you’ll be good to go.